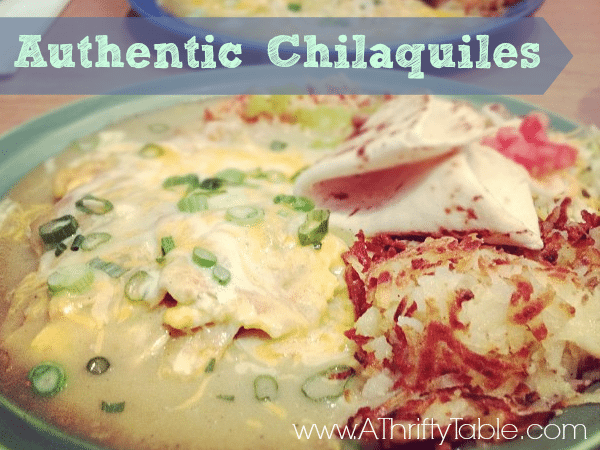 Chilaquiles is an authentic Mexican dish made from fresh fried corn tortilla strips, eggs, cheese and sour cream. It is found in all parts of Mexico but there are different variations according to the state you are in and each family has their own recipe for this traditional staple. This is a great frugal dinner since the ingredients are easy to find and inexpensive. It’s also a crowd pleaser with the kids but the adobe sauce can sometimes be too spicy so you may need to omit it if serving to children. This particular recipe is native to Secura Montes, Queretaro, Mexico and features chilies and shredded chicken in addition to the other ingredients. Making fresh tortillas is very time consuming so we cut down the work by using store bought corn tortillas. If you happen to live near a tortilla factory it’s worth picking some up. Approximately 25 6” corn tortillas. Look for ones that are fresh, they should not be stuck together in the package. Stack tortillas in thick piles and first cut into strips and then cut the opposite way to make squares or just tear tortillas into smaller pieces. Toss in a deep frying pan with a thick covering of oil and pan fry until crispy but not like a chip. While tortillas are cooking chop chilies in adobe sauce finely using a serrated knife or place in a food processor. Keep the seeds for added heat or remove them, the seeds are very hot! Add eggs and scramble into tortilla mixture. Add chicken, half the sour cream and cheese, pour adobe mixture into pan and mix well. Add salt to taste and then remaining cheese. Plate Chilaquiles on top of a thick covering of shredded lettuce or cabbage leaves and serve.